So often has been antibiotic resistance been talked about in this page, that it needs no introduction. There is a huge list of antibiotics that is currently in research. There are all sorts of chemicals, that has been investigated. It is now almost impossible to keep track of the growing list (I probably have even lost the count). The whole story of magic medicine bullet (Antibiotics I mean), has started from the discovery of penicillin (Not by Alexander Fleming, Read the story here). It was the champion till drug resistance began to stage a threat. Today, I can hardly recall infections, where penicillin is the only drug that is required. We now talk about terms like Multi drug, Pan drug resistance, Superbugs, and even drug dependence. Before I talk about the paper in question, it is important to look at how penicillin acts. Penicillin is a member of a huge family of chemicals, called as β- lactam. The cell wall holds a very high pressure inside it. Second important thing that is not easily realized is that the cell wall is not a permanent structure. The bacteria continuously synthesizes new layers. This makes an active bacteria like Staphylococcus, cell wall extremely sensitive. Failure to synthesize new peptidoglycan continuously, and the cell goes like woosh....burst, due to a very high internal pressure. Peptidoglycan synthesis involves making NAG-NAM links which are cross linked by peptides. This linkage is what provides the stability. The cross linking is by the action of an enzyme called as transpeptidase. Fig 1: Transpeptidase inhibited by Penicillin. DD transpeptidase (D-alanyl-D-alanine transpeptidase), is the key enzyme. Its natural substrate is D-Ala-D-Ala which is competitively inhibited by the β- lactam. They connect the D-center of meso-diamino-pimelic acid in position 3 (meso-DAP3) of one side chain to D-alanine in position 4 (D-ALA4) of an adjacent side chain and are therefore called DD-peptidoglycan-transpeptidases. Look at figure 1 which is a comparison between the D-Ala-D-Ala and the β lactam. In many textbooks you will read "Penicillin binds to Penicillin binding proteins (PBPs)". That is true. Point is, when the structure of DD transpeptidase is found it gets called as PBPs for obvious reason. The bacteria evolved tricks. They made the DD transpeptidase inaccessible, or made enzymes to break the antibiotic itself. To evade the enzyme protective agents such as Betal lactamase inhibitors are used in what is called as a BL/BLI combinations. More recently Non β-lactam/β-lactamase inhibitor avibactam has been proven highly affective (Read my previous post on this here). By using improved β-lactamase inhibitors, we can use old antibiotics like penicillin to do the job again. One more chemical now makes the same headlines. Chuanbing Tang states "Instead of developing new antibiotics, here we ask the question, 'can we recycle the old antibiotics?' " he said. "With traditional antibiotics like penicillin G, amoxicillin, ampicillin and so on, can we give them new life?" In their new report, published in JACS, a metallopolymer was shown to do a similar job. They prepared a cobaltocenium metallopolymer that greatly slowed the destructiveness of beta-lactamase on nitrocefin (Model beta-lactam molecule). Based on the results, they further elaborated its effectiveness on HA-MRSA. But here's the punch point. The metallopolymer alone demonstrated antimicrobial properties, lysing bacterial cells. Similar approaches are gaining more popularity. This approach is highly attractive, for it helps us to bring back the older classics into action, without having to invent a bunch of new ones. Let me cite one more example which is a bit of older concept. Table 1: Efflux pump families. One of the mechanisms by which, bacteria avoids antibiotic action, is by pumping out the antibiotic using efflux pumps. Years of research has been devoted in developing Efflux pump Inhibitors (EPI). Efflux pumps comes in a variety of types. They are classified into families- Perhaps the best studied among them is L-Phe-L-Arg-β-naphthylamide or more commonly known as PAβN. This compound interferes with members of the RND family. Publications have explored to look at similar concepts. For example, chemicals are developed to try and get the drug inside the bacterial cell easily, using hydrophobic chemicals (Link). My conclusions are simpler. Yes we need new class of drugs with novel mechanisms. Antibiotic development is going to be a ever running field in medicine, cause it is hard to beat evolution. But by making chemicals, that can rearm the older champions, we have a better edge. Infectious diseases make more headlines than anybody else, especially if there is a outbreak. Be it the SARS epidemic, Influenza pandemic, MERS Coronavirus or the latest Ebola. And if you scare the people enough, media will use it to great potency, and will be the breaking news. No doubt, infections such as Ebola makes a strong statement (BSL-4 category), they are not human race wiping infections. This probably is the right time to talk about it. When i talk of Ebola almost everyone remembers the movie "Outbreak"
Table 1: Key features of Ebola virus. Ebola was first recognized near the Ebola River valley (Hence the name) in 1976. The virus is a member of Filovirus family with Negative-sense RNA. 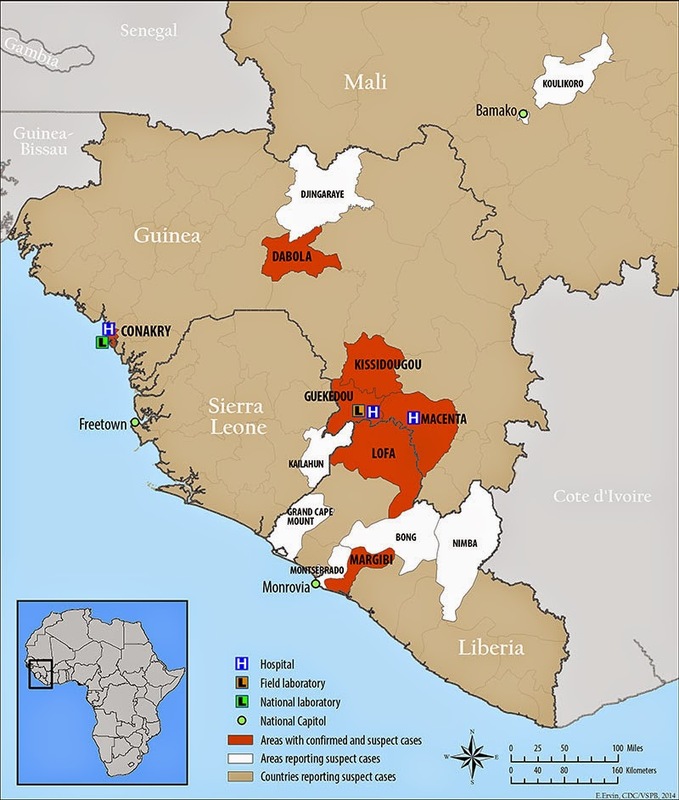 Studies identified that there are 5 strains of Ebola- Zaire, Sudan, Ivory coast, Reston, and Bundibugyo. Of these Zaire, Ivory Coast, and Sudan strains have been shown to be associated with human infections. The case fatality ratio of Ebola ranges from 50-90%. It is not known as to what are the actual reservoirs of this virus. Humans and other primates are thought to be accidental hosts. There are strong arguments in current research that indicates "Bats", as the most likely reservoir. 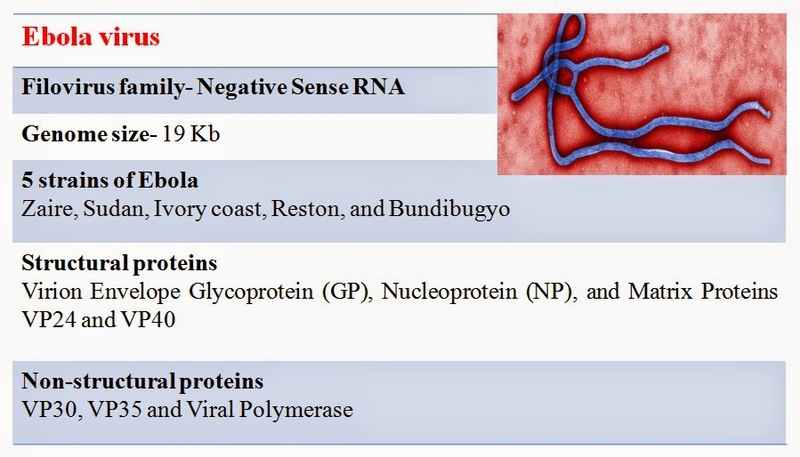 The key features of Ebola virus is given in Table 1. The Ebola virus life cycle is not completely understood. In 2011, a multidisciplinary research team were able to showed that T-cell Ig and mucin domain 1 (TIM-1) was the receptor for Ebola and a closely related Marburg virus. The virus is proposed to be a macropinocytosis-like process that delivers the virus to early endosomes and subsequently to late endosomes. It is being postulated that the virus attacks immune cells (The dendritic cells, monocytes and macrophages). The virus can modulate the immune response such as meddling with interleukin and immune cell expression molecules. Infection spreads to multiple other cells including liver hepatocytes and vascular epithelial cells. The nature of human to human transmission is believed to be by close contact through broken mucus membrane. The virus kills the epithelial cells. In the vascular lining severe loss of endothelial cells causes vascular damage. The virus has an incubation period of two to 21 days This manifests as a hemorrhage and hence known as Ebola Hemorrhagic Fever (EHF). Fig 1: Ebola Outbreak map 2014. As of on April 14, 2014, 200 suspected or confirmed cases with 121 fatality is reported (Reference) for EHF. Outbreak ongoing in the southeastern part of Guinea. It is not published as to what is the strain type involved or what is the case zero. The previous outbreak was in Uganda (Luwero District; November 2012-January 2013), caused by Sudan strain. In that outbreak a 50% case fatality ratio was published. Currently there is a large effort in trying to contain the virus from spreading by actively diagnosing the cases. However, very little can be done in terms of treatment. There is no established antivirals. Currently researchers are trying to develop drugs against multiple viral components especially the Filoviral polymerase. Vaccines, are also in research phase. There are no commercially available vaccines. It is possible that antibodies against the viral receptors to TIM-1 can induce significant protection. A study has been published in 2013, where a replication-competent rabies virus vaccine was engineered to expressing Ebola glycoprotein. In a primate model, after 42 days there was 100% protection. In contrast replication-deficient and inactivated vaccines afforded 50 percent protection. The vaccine hasn't yet been tested on human volunteers and hence not available in the current outbreak. There are reports of use of siRNA (to be administered within minutes of exposure), monoclonal antibodies etc are published they are not yet ready for mass public use. So what are we looking at? A BSL-4 virus, high case fatality, No antivirals, No vaccine. But there is a good news also. Ebola doesn't seem to be a human pathogen. They are accidentally transferred to humans and hence will subside to spread if enough preventive measures are taken. The best procedure is to quarantine the suspected case. Immune system is a subject of interest to us for a variety of reasons. Vaccines is just one of them (but considered a major). However, here is an important point made by someone. Most of the vaccines that have been created are not the work of immunologist, but rather a microbiologist who by trial and error, comes across a potential antigen which may be significant. Further experiments, establishes how the immune system works. Such a reverse approach is often the case, though exceptions exist. Why not the other way around, you may ask. As a matter of fact, we don’t understand immune system fully and most of the time we have no clue of what the coordinates of immune protection for a given organism looks like. Immune system is also a subject of fascination because they are one of the key system that can link multiple systems. For example, it is known that immune cells share receptors and signaling molecules with neural cells and endocrine cells, thereby producing a three way connection. The field is referred as Psychoneuroimmunology. This means immune system may communicate with neural networks using neuropeptides, thereby significantly altering the neural functioning. There are other similar fields such as Psychocardioimmunology, Psychoneuroendocrine immunology (Link) etc. I can go on and on. Of note, the extraordinary feat of immune system is attributed to T cells. T cells come in a huge variety of flavours with each individual type accommodating a wide variety of inter related functions. The reason why I decided to post about T helper cells is, most of them know of Th1, Th2 and Th17 cells. Very few realize there are other types- Th9 and Th22 in the latest upgrade. For starters, let me explain a little bit about T helper cells. As the name suggests these are cells that are designated to help kick start a process through signaling and cytokine support. During the T cell development they select either a CD4 lineage or CD8 lineage. Based on the selection they become known as CD4+ or CD8+. In their naïve state, they are receptive to different cytokines. The cytokines dictate what type of T helper cells are generated. Each type of Th cells have a set of signature cytokines that mediate the downstream effects. Table 1 defines types of T Helper cells (CD4+ type), and the most predominant cytokine they produce. There are a huge variety of immune phenotype of T cells. Most of them are involved in complicated circuits of interaction via molecular pathway. Th0 cells represent a naive group of cells that are receptive to cytokines and will differentiate into lineages based on the type of stimulation. There is a confusion in some literature as of where does Treg cells belongs. T regulator cells (CD4+ CD25+ Foxp3+) represent an important group of cells usually involved in dampening the response so as to control it. Though they arise from Th0 cells, it needs to be treated separate. Table 1: T helper cell subtypes and characteristics. Th1 cells mediate Cell mediated Immunity, through activation of cytotoxic T lymphocytes. Th1 subset, secretes IL-2, IFN-γ, and TNF-β. 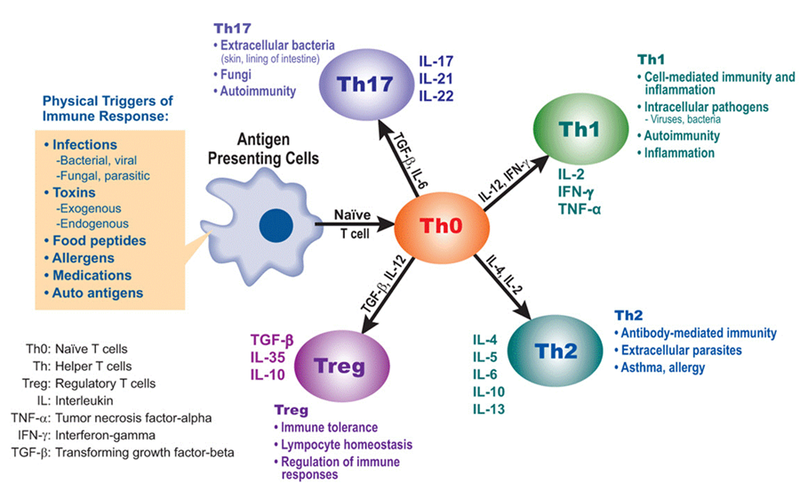 Th2 cells mediate Antibody based response through helping activation of B cells. Th2 subset, secretes IL-4, IL-5, IL-6, and IL-10. In addition, cytokines produced by one subset negates the activity of other subset. Fig 2: Th17 & Th22 cell differentiation. Th17 cells form the 3rd subset to be discovered. Till recently Th17 cells were intensely investigated by immunologists. Naive cells on stimulation with IL-6 and TGF-β, induces IL-23 production. This further induces production of IL-17 & IL-22 which signal massive recruitment of neutrophils and cellular based immunity. This response elicits a massive set of immune response culminating in inflammation. The mechanism is also shown to possibly work in certain autoimmune conditions as well. More recently, it was identified that the same IL-6 based stimulation with other set of cytokines (especially TNF-α), also induces differentiation of another lineage the Th22 cells. They differ by massive production of Th22 cells. This points to an important question. What would be the functions of Th17 and Th22 cells which seem to be very much related. I don't have any definitive answer. But from published studies, I believe that Th17 cells are more associated with systemic response and Th22 is probably confined to the Skin homeostasis and inflammation. 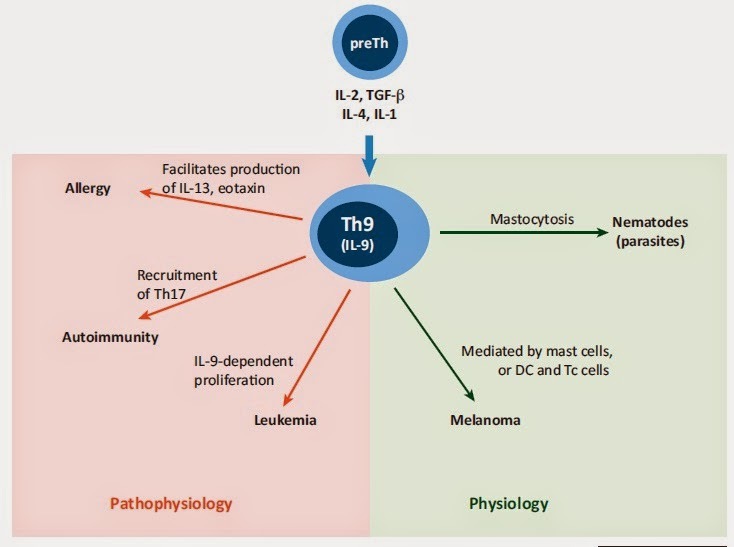 Fig 3: Role of Th9 cells. Not much is known about Th9 cells. They are the most recent members of the list. Th9 cells were described as yet another sepearte lineage of cells. They are proposed to differentiate in the presence of IL-4 and TGF-β. It has not been clear as to what are the properties of this cell. They are identified by their IL-9 secretion. They also produce IL-10. Experiments has shown that Th9 is important in Anti-parasitic immunity. In the similar lines, they interact with mast cells and also probably involved with allergy. Interestingly, they call upon Th17 response also. It would be interesting enough to know if there are more types of helpers. The point is immune system is a complicated circuit involving number of of cells. With better techniques of identification, we probably will see more number of helpers. And for the existing one's, we still are not sure about how they help. Lately, a few days ago I happened to stumble on an important point regarding “publication of research work”. Several blogs, podcasts, high level meetings, editorials etc.. are now pouring in opinions on how science is not working, the way it is supposed to. I have written on topics of very broad interest in this blog. Things that I have expressed below, is my personal opinion based on what I have found from polling (Link), talking in person to people who do science world over. I don’t wish to place offence on any Institution / Body. Moreover, the number of poll entries has been low, so my opinion may represent a bias of low count. As of what I understand, there are 3 key problems- funding, science, and publication. The first major issue is funding. Let us admit it. Science is an expensive process, and returns are not expected always. Conclusively, it is not expected of Industrial R&D giants to do all the research. That is why proper funding is an important point. As said in a podcast by Vincent in his now famous TWiV program (I don’t remember the exact episode), “To calculate the outcome of research is not possible always and everything cannot be translational. Sometimes we simply have to pursue the basic research”. I don’t see how I can disagree. I put a questionnaire for people doing science. Though very little people have actually polled their opinions, it is clear to me that a good number of researchers feel that they could have done better if there had been more funds. In context of Indian scenario, it is clear as to funding system needs drastic improvement. The funds are less adequate and reported time for the funds to be available to researcher is almost more than 6 months. Anecdotally, PhD and Post Doc candidates are underpaid world over. And there is too much competition for that too. Fig 1: Results from Poll. “Don’t complain, if you have no idea how to possibly solve it”. Globally there is a crisis in funding. Almost every country has cut down on the amount of spending on science. As I said, Translational science is not always possible. However, without the basic science discoveries, improvements in research techniques, there would be nothing to translate. I had seen multiple blogposts, by many regular bloggers, which reads “Spending on science research is less than 10% of what is spent on warfare”. I don’t know of how true it is, and citations would be better. In some scenarios, funding maybe available, perhaps not utilized in the right direction. What I intend to say is, there are standard funding agencies such as the CSIR, NIH, DBT etc. But there are also certain research foundations such as the Bill gates foundation which focus on a specific area of interest. I have often talked to people who grunt when money is not available from the government budget. They have never even tried to put a proposal to more private research foundations. And now there is an emerging concept of public funding (Link). Public willing to donate, no matter how small the sum is, collected and used for a specific research. "A limiting step in the government funding agencies is the lengthy, not so transparent process, lots of paperwork and too much time taken between submission of a research proposal to approval of grant. There's also a lot of peeve with the processes involved. For instance, in scientifically advanced countries, if a researcher orders a chemical or antibody, he gets it at his doorstep within 24-48 hours. The process could take months in most Indian labs." Fig 2: Schematic representation of knowledge. The second question is doing the science itself. 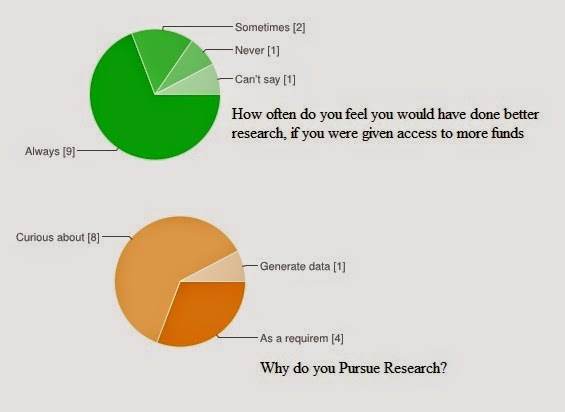 People into research, very much polled that they do science to earn the degree/ promotion. The requirements of university guidelines, to have a research in paper (irrespective of what it means), has given way to low quality science. It is been said that from a million papers produced in life science each year, at least a significant proportion is junk. Then a question is to be asked. How does research qualify as a criterion for degree or promotion? This question is exempted from the cases of advanced research degrees (PhD, Post doc, International Fellowships etc.). But what about in cases of say M. Sc degree. The answer is, this. The world literature on life science doubles almost every 4-5 years. If you have not kept yourself updated by research, in a span of 10 years you had be teaching or practicing the science which no longer is pragmatic. With low quality science this goal is not achieved. Another point of note, “People believe too much in published material than their own experience”. People who wish to research further on published material, don’t verify the primary paper. Let us consider for argument sake, a hypothetical publication in journal with the impact factor of more than 30. X group discovers that Y compound can inhibit an important bacterial pathway. If I need to use that chemical as a possible antibiotic, I must verify the primary observations, especially if it is a very recent paper. Many people, often blanket the research as valid if it has a high impact factor and not so much if it is on a lower impact factor journal. And a person will try the same experiment till he gets the same result, but wouldn’t argue with his PI that possibly paper has flaws, especially if it has been published in a “big buck” journal. One important way of looking, is to communicate the corresponding author and learn of any fine adjustments that is not in paper. It helps a lot, than simply replicating without results. And there is always a chance that the paper is not right. A point that is worth noting here is a recent nature comment on p-value. The notion that almost everything depends on p-value is drilled so much into the student, is wrong. 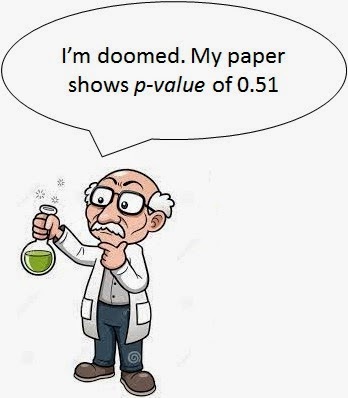 Today, researchers manipulate data, by changing values in a data set so that somehow it fits the golden p value (<0.5). P-value is just a mathematical way of looking and saying, does this data need a second look. The last but important point is publication. I just happened to have read an article in mBio, on how science and scientists have been pulled into publishing in “High Tier” journals, and how it is effecting the quality of science that is being done today. Though this issue has been raised by multiple people over the past couple of years, including me, the gravity towards having a high impact journal publish has not changed. Several proposals have been made in the article, on how this could be handled. This leads me to a question. What is the concept of a journal? Journal is a magazine that details the latest research findings of a particular subject. And why do they publish? It is a business. That is exactly why different strategies of publishing (Open access or pay wall access), are called as “business models”. Of course there are claims of nonprofit based journals. A journal is however, expected to have a scientific standard in contrast to other routinely available magazines. So how do you measure the scientific standard of a journal? There is a common accepted idea that when the science is important, it gets cited. So Impact factor (which is a calculation based on citations), represents quality. Right? NO. Impact factor is a measure of journals average. In other words, when I say, Journal X has impact factor of 2.7, it means on an average an individual paper is cited 2.7 times. 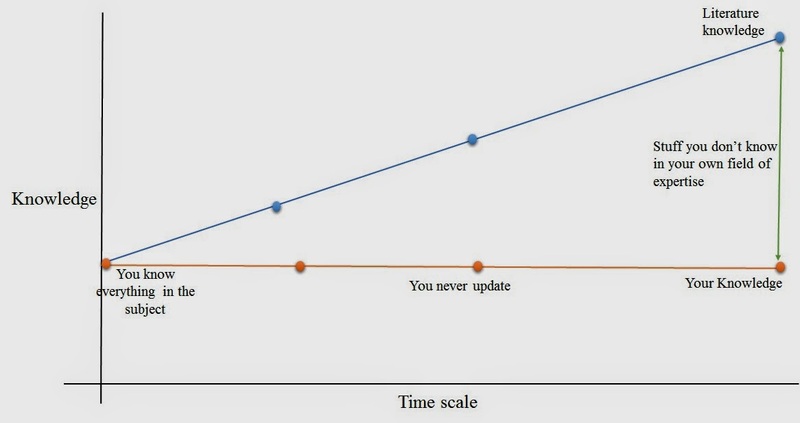 “On an average” is a tricky business. Consider this. If a journal publishes say 3 papers which is cited 30 times each and you have another 30 papers never cited, you still have the journal impact factor of 2.72. With no citation for 30 papers!!! A more apt way of looking is how many times the paper itself has been cited than the journal itself. And remember there is no negative marking for retraction. The calculation shown is not the actual way of doing it, since previously published papers will add to the calculation. But you get the point. For the accurate methodology of calculating Impact factor, refer here. So if a journal will chew out only those papers that will potentially make the headlines, you will still have a high impact factor, even if a good number of papers never performs. And there is an additional underline. A paper which makes news will generally be discussed more in literature, thereby harvesting more impact. IF you had not known, the original DNA structure paper by Watson and crick, was never peer reviewed. Luckily, it was flawless (Listen to nature pastcasts series; Link). However, i should also make a note that at that time, Nature didn’t have a system of formal peer review in the 1950s, and papers were reviewed only when it seemed necessary. So how did it potentially end up there? Simple. Chances of making a news and being cited. In fact that paper was one of the hottest cited papers (More than 700 citations if I remember it correct). I say this because, I have often seen reluctance in high tier journals to publish stuff which is not well reviewed, but are news making stuff. Offhand I recall, two papers- Paper on stimulus-triggered acquisition of pluripotency (Link), arsenic DNA (Link). What happened to the highest quality peer review? Now you can see the loop. An idea that high impact factor journals is always right, tends to be cited easily. This leads researcher to believe that publishing in high impact journal is recognition of their work. If the article is retracted, the journal is not effected for its impact. When this became the case, everyone’s work was valued on the basis of journal and not their work itself. Let me quote from mBio article by Arturo Casadevall and Ferric C. Fang (Open access). “In this context, the impact factor of the journal where work is published is often used a surrogate marker of excellence, despite the fact that citation frequency for the journal does not predict the citation frequency for individual papers”. The above shown figure is the response to a question, on where would you want to publish your work. Most of them that have taken the poll said, they would publish in a lower impact factor, but specialty open access journal. Publishing in a an open access journal allows more readers for your work. This further helps in recognition of work. Moreover, specialty journal is read by people working in a similar group, which allows the chance for wide acceptance compared to a journal that covers a very broad area. Randy Schekman, a nobel laureate, in his famous boycott of top journals (Link) makes a point that probably there is a distortion of science. I don't know to what extent it is true, cause I have never published with top journals yet. But what amuses me his boycott doesn't make any difference for him. He has reaped the rewards, and so it is not going to effect his career. But for people at stake, they still want the recognition, it effects them directly. Probably everyone remembers the science sting operation. The study showed the concept of “predatory publishing” Link. Magazines claiming to be journals. I say so, as I have defined “Journal is a scientific standard magazine”. Remove the scientific standard and it becomes a magazine. The central problem is there is no good peer review. But that leads me to another question. How standard is a peer review process? By no means, I say that science has gone bad. But I do think that we need improvements. Science has suddenly become a business in itself leading to some dirty competition, for funding and publishing. This is a self-fulfilling loop. So I have suggested improve funding (everyone’s suggestion), don’t rely on journals impact factor, journals be subject to quality control by revealing the reviewers comments, and most important discuss science freely. Science was ans is, a self correcting process. I must owe thanks to all the people who gave their opinions freely, that allowed me to have better clarity of opinion. Maybe I will have more to say, next time. And sorry for the length of this post. But I needed to put it all.